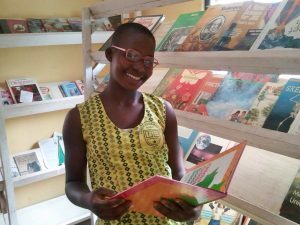 Early December 2015, The Optical Foundation and the University of Cape Coast (UCC) teamed up for another collaborative screening project in Essiam. 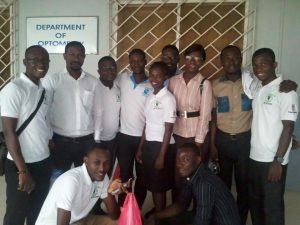 Organized by Francis Wiredu one of UCC’s students, this two day screening gave 11 optometry students the opportunity to conduct eye tests on 301 children (4 – 17 years of age), under supervision from a clinical lecturer from UCC. Fortunately most children had healthy eyes. 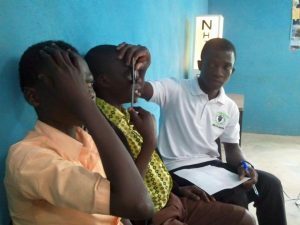 However, thanks to the screenings we were able to provide 25 children with corrective glasses and 31 children with allergic conjunctivitis/glaucoma suspects/lens opacities were either treated or referred to the UCC eye clinic. All these conditions would have gone untreated if these screenings hadn’t taken place.